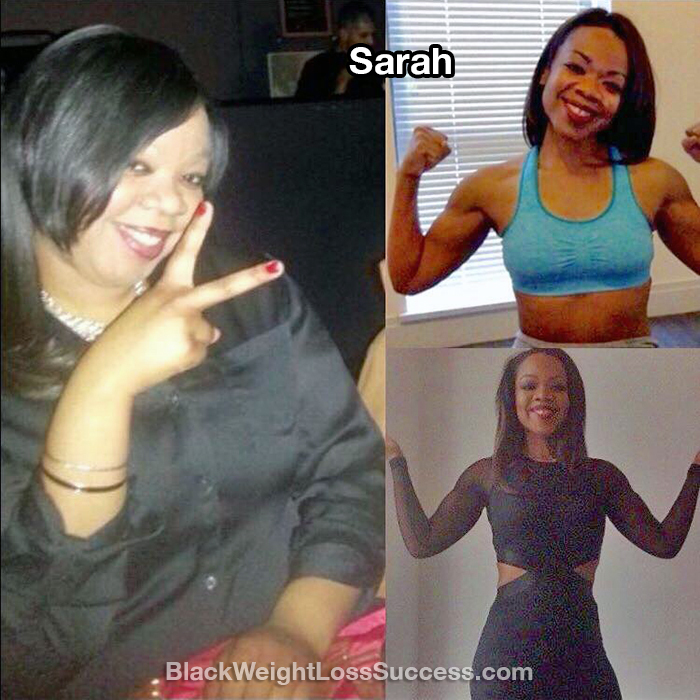 Transformation of the Day: Sarah lost 85 pounds. Three years ago she made the decision to change her mindset about health and fitness. She’d never been athletic and her eating habits were very unhealthy, but today she’s a personal trainer. No gimmicks or fads, just healthy eating and staying active. Check out her journey. The first thing I did was change the way I ate. Instead of eating processed, fried, and starchy foods, I began to bake, steam, and/or grill the majority of my food. I meal prep every Sunday so that I don’t have to worry about what I’m going to eat. I also began to carefully read food labels. Also, for the first time since high school gym class, I began to workout on a consistent basis. I initially started by fitness journey by running on the lake where I live, LakeMichigan. Then, I wanted to build lean muscle and sculpt, so I incorporated strength training into my routine. By doing HIIT cardio and circuit strength training I was able to rapidly reduce body fat and increase lean muscle. I workout at least 5 days a week. Fast forward 3 years later, I have lost 85 pounds. My starting weight was 225 pounds. My current weight is 140 pounds. My height is 5’5″. My journey started around March of 2014. It took me a little over a year to lose the weight. It took another 2 years to sculpt and build lean muscle, which is actually an ongoing journey. Now, I run in races and am a certified personal trainer. I’m someone who’s NEVER played ONE sport in High School and I was always last in gym class. I only started exercising about 3 years ago. The first time I ran, I couldn’t even run an entire block. Never in a million years would I think I’d be here. So, if I can do it, anyone can. I did it the traditional way: healthy eating and staying active. It’s not rocket science. People think that there is a secret to weight loss. If there were, I’d be a rich woman. Just hard work, dedication, and consistency. Anyone willing to sacrifice can do it! If you think about health first, the body you desire will come along with it. Working out is no longer a “daunting task” for me. It’s therapy, an outlet, and if I miss a day it totally throws me off. I also have an amazing community of sisters (and brothas) who motivate and inspire me. Your story is truly inspiring. You look amazing!! Do you have a blog? Thanks Sarah. I don’t have a facebook account, but I appreciate the response. Like you, I never played sports in high school and I was always the last one to finish running a mile in gym class. I will begin my weight loss journey soon and I hope to become an inspiration just like you.